It is always common that every individual around us have different attitudes and ways of doing things. Their way of thinking, networking and interacting with people might change. During a networking session, meeting or a gathering, it is important for the Marketers to understand different behavioural styles of people in order to effectively network. Philosophers invented a model called DiSC in order to develop better understanding of behaviours. In fact, now DiSC is a universal language that has been documented and validated in over 25 countries around the world. When I was in USA for the BNI Conference, Dawn Lyons conducted a very interactive session regarding this with various group activities. I found it very useful and thought of sharing it with my readers. 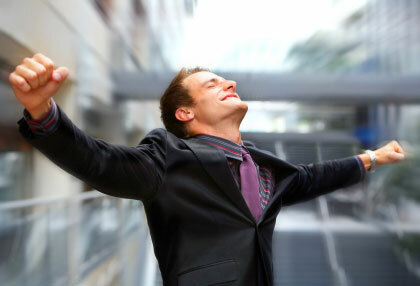 Generally, in any networking room, you will get four types of people: Go-getters, Promoters, Nurturers and Examiners. Understanding the behaviour of these four types of behavioural patterns is vital for marketers to network and understand anyone in the room for better communication with adaptive style. So, who is a Go-getter? A go-getter is a busy and innovative individual who would be equivalent to the “D” in DiSC. These individuals are generally very driven, result-focused, quick paced and even often impatient. Simply put, these are people who have a “get it done right now!” attitude. They are strong believers in pragmatism and are never hesitant to bend a few rules. They are the type of people who understand that it is a lot easier to ask for forgiveness rather than having to beg for permission. They are also so incredibly focused that people may take them to appear detached. They are so ambitious about their ideas and goals that they forget to take the time to enjoy other things. Go-getters attend networking events in order to gain new business prospects and rub shoulder with the successful people in the event. Promoters are people who are energetic supporters. They urge and use persuasive means to popularize or sell something. Promoters are comparable to the “i” in DiSC. They are very friendly and positive people who have the happy-go-lucky attitude. Known to be fun lovers, promoters love to be on the go and always look for enjoyable ways of doing things. At the same time, they are the type of people who tend to avoid confrontations and would prefer to casually mingle with clients over a meal rather than working on a serious proposal in the office quarters. Promoters are also often dreamy individuals who have a plethora of ideas in their head and always manage to get others excited about their ideas. They would even be bold enough to take risks and generally stay away from researching information or doing their homework before making decisions. Instead, they rely solely on their instincts. Promoters attend networking functions to meet new people, have a great chat with friends and make sure that they are noticed in the event. In short, they love to hang out. Nurturers are the kind, helpful, caring and incredibly patient people who graciously gives gentle care to a person in order to assist in their growth or development. They are equivalent to the “S” in DiSC. Nurturers are wonderful listeners who like things to be slower paced than go-getters and promoters. They like dealing with things in their own way and in their own time and do not like being rushed or pushed into anything. Rather, they are grateful for quality time with people and their comfortable temperament makes it easier for others to approach them. Due to their relaxed nature, they have the gift of developing strong networks with others. As dependable and supportive individuals, nurturers are amazing team players. They tend to stay away from risks and would rather tolerate a difficult environment than having to put themselves through a change. Nurturers attend networking events to connect with others they are already acquainted with and also meet down-to-earth people. Their focus in attending these events is to strengthen and deepen their interactions and relationships. Equivalent to the “C” in DiSC, examiners are people who carefully analyze and inspect other people in detail and further test their skills and aptitude by asking questions. Examiners are highly efficient and methodical individuals who are driven by their tasks. They are very focused on finding information and acquiring knowledge and they love to check off things in their extensive “to do” list. Due to the fact that examiners love information, they take a lot of consideration and time ahead of making any decision. You could call them perfectionists. Examiners are very good communicators due to their extensive knowledge on a variety of topics. They are careful about expressing their emotions and are rather guarded people who can sometimes be rather uncomfortable around individuals who are lively and expressive, such as promoters. Examiners will always see the complex side of things and their natural intelligence and cleverness gives them their own unique style of wacky humor. Examiners attend networking events solely to promote and market their business and as soon as they achieve their goal, they will leave the events as promptly as they can. In conclusion, once you start to have a clearer understanding of these four behavioral patterns, it will naturally become far easier for you to identity what category any individual falls under, thereby allowing you to adapt to their style and making them feel good and comfortable. The world is full of different types of people. Some are hard workers, some were born with silver spoon, some are lucky, some are lazy, some just give a try and see whether things are happening and so on and so forth. That’s why the world is highly diversified with numerous type of human beings. I have heard people saying “I tried it but didn’t work out”, “I couldn’t do it”, “I am going to give up” etc etc. As human beings in most of the circumstances we find barriers after a certain limit. Some try to break those barriers and move forward. Some fail in doing that. This post is totally dedicated to people those who fought back to achieve their goals, people still defend their destiny with problems and struggles in life. I wanted to combine some stories and thoughts here which inspired me the most. Just wanted to recall a great personality who was my inspiration at this time, a person struggled for his daily meals, once in a week he gets food from a Hindu temple, and to get that good food he walked for over an hour. A great personality I admired the most. The thoughts, his inventions will still remain in the world until the end of this universe. He is an example person for never giving up. Steve Job… With all struggle in his life he had beaten every problems in life. So what you think as the most important thing for never giving up thought? Is it your ability, behavior, perception? Nothing, it’s your attitude. No matter how you feel, you should get up, dress up and show up. It’s your attitude. It’s all about the “Positive Attitude”. Whenever you start something which you think as correct, you should not have any second thoughts. Make sure you will win, win in style. Do not think “Will I win?” “Am I in a position to do it?”. Don’t think either in negatives or questions. It will always be your attitude at the beginning of any difficult task which, more than anything else, will affect its successful outcome. If you see the below picture, what will be your answer? Half empty glass? or Half filled glass? The answer shows your attitude. Positive mind set people would say it is a glass filled half. 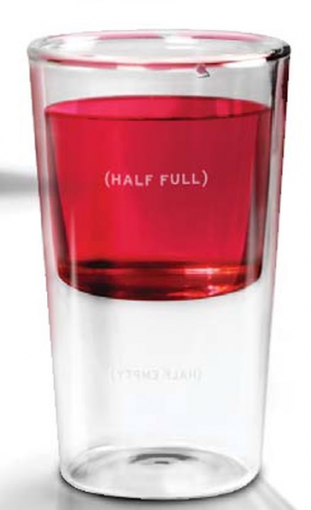 People with negative attitude would says it’s half empty. 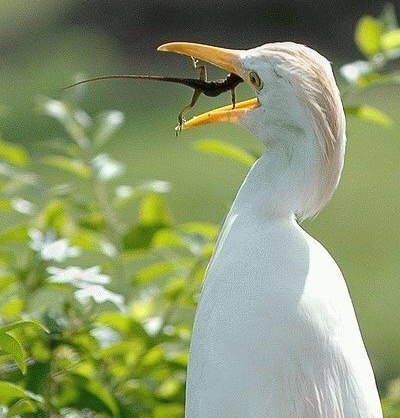 Never think negatively….It prevents you from achieving your dreams…. Always Dream more while you are awake…… Determine whom you want to be….Work towards it. Achieve what you like. I wanted to share a story here. A story of an athlete. A person who didn’t gave up. Generally in races the athlete who comes first only will be noted and appreciated. Last person will never get noted. But the story here something different. Derek Redmond in the 1992 Olympics despite of an injury which haunted him and made him to finish the race last. However his attitude made the world to look at him, made him to get standing ovation from the crowd over 65,000. Though his dream was interrupted he didn’t give up. He set out to dominate and win his dream. He continued his dream though injured the injury with his father and finished the race. If you want to be successful, you can start at anytime. But you must start. Don’t make the mistake of not doing anything because you can only do a little. Do what you can do. It could be studies, it could be work, it could be your business. No matter whether its small or big but, think big and achieve big. To be aware of what you want and not go after it, to spend years wondering if something could have materialized, and never knowing if it could have been, is a tragic waste of your life. The worst thing you can do is not to try. Our lives are not determined by what happens to us but by how we react to what happens, Not by what life brings to us, but by the attitude we bring to life…… A positive attitude causes a chain reaction of positive thoughts, events, and outcomes. It is a catalyst, a spark that creates extraordinary results. This is a very late post though, but I wanted to share my experience with the community. On September 24th I organized a workshop on Social Media Marketing and had a lot of hectic works. I’m using a Deskjet HP 1000 series. Since I had to take more prints for the workshop I sent a person to buy a cartridge for me. Unfortunately I forgot to tell the place where I usually purchase. She got a cartridge and bought it in a shop which belongs to PC House Sri Lanka, and the cartridge did not work on my printer. They had given a wrong / unsuitable one. When I went there to change it, they argued saying that they cannot replace it with a new one. I was terribly angry. Even the guys who were there were very rude and not friendly at all. I called the PC House and they gave me the Unity Plaza office GMs number. The gentleman was so polite and he apologized for the behavior of the stores employees. He promised me to send a technician to my office and as promised they arrived and replaced a new one. When the store guys refused to replace the cartridge I was really upset and their behavior gave a negative impression but at the end of the day it turned out to be a happy customer and my purchase with PC House continues smoothly.